Downsizing from a single-family home to their Alexandria condominium, this couple decided to personalize their new forever home to enjoy for years to come. 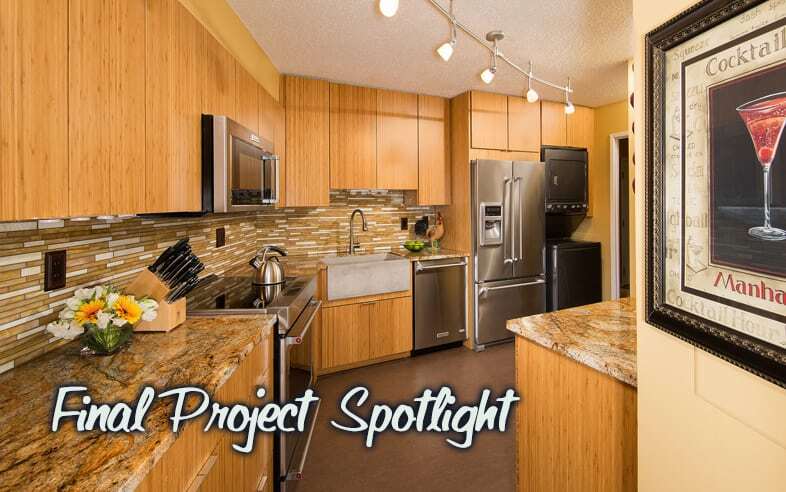 Mastering the many roadblocks for remodeling a condo, we were able to make dramatic changes to the space while staying within budget and keeping the condo association happy! Electrical and Plumbing are costly to move within a condominium, since they affect the entire section of homes the homeowner is living within. For this reason, appliances and lighting were not moved within the home. Instead, unique finishes were used to enhance the space and bring more lighting to the kitchen area. 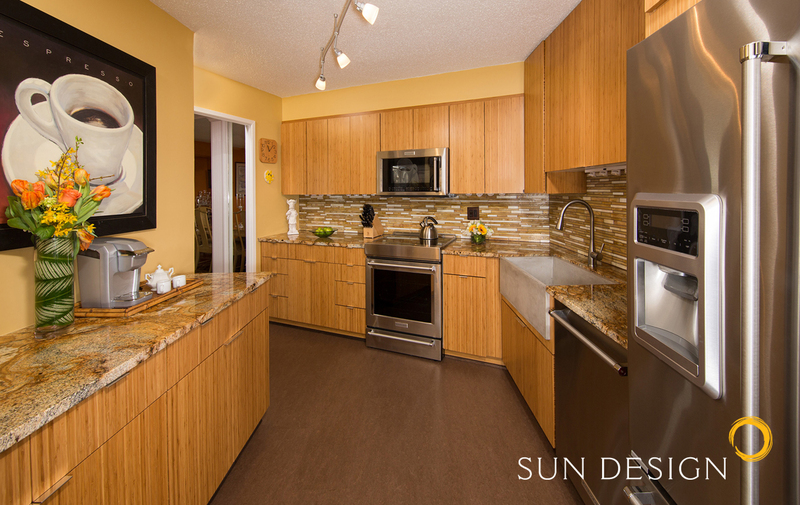 Vertical grain bamboo cabinets and granite countertops give the kitchen a spacious, elevated feel. Modernized stainless steel appliances tie the space together with a cement farmhouse-style sink adding a unique flavor to the area. 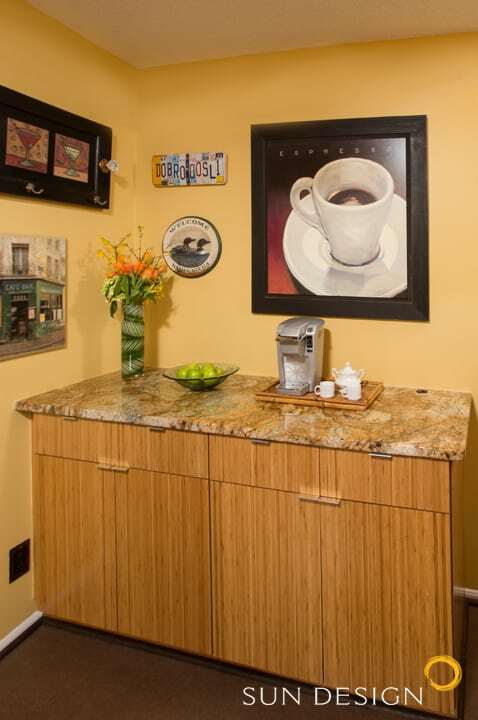 The coffee-bar vanity replaced a floating bar, giving the homeowners more storage space and extra counter space for daily-use items. 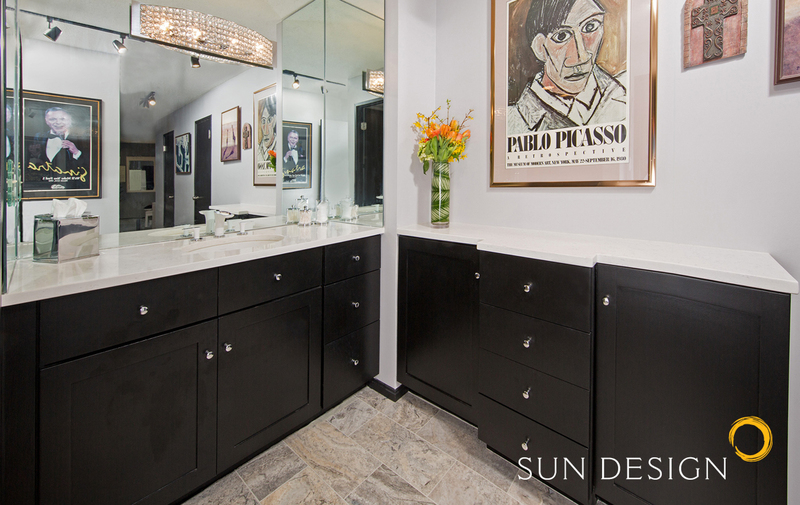 Modernizing the master suite bathroom, the original cabinetry was painted a dark espresso brown, new knobs were attached, a custom sized, full-wall wrapping mirror was hung, and “Fairy White” quartz replaced the old cabinet tops. 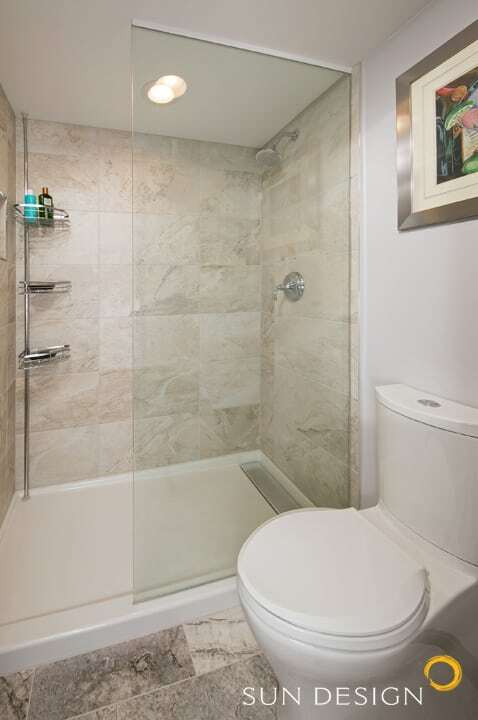 The shower area was given a new low-flow Kohler toilet mounted on top of “Claros Silver” floor tiling. The open shower includes various classic Kohler fixtures, a built-in tile shelf for storage, and “Sand Field” slate tile on the shower walls. View more of our completed bathroom projects in our portfolio.